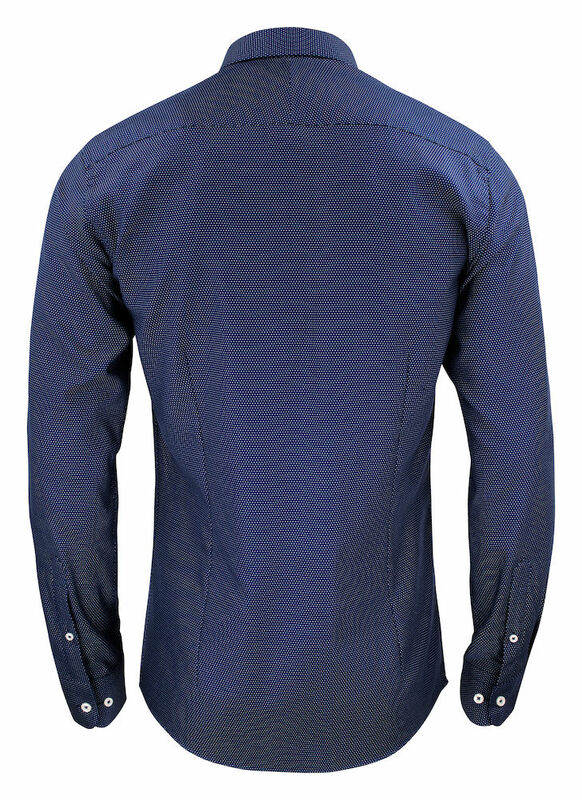 White thin stripes on a blue or grey anthracite base, makes it a stylish new version of the classic striped shirt. 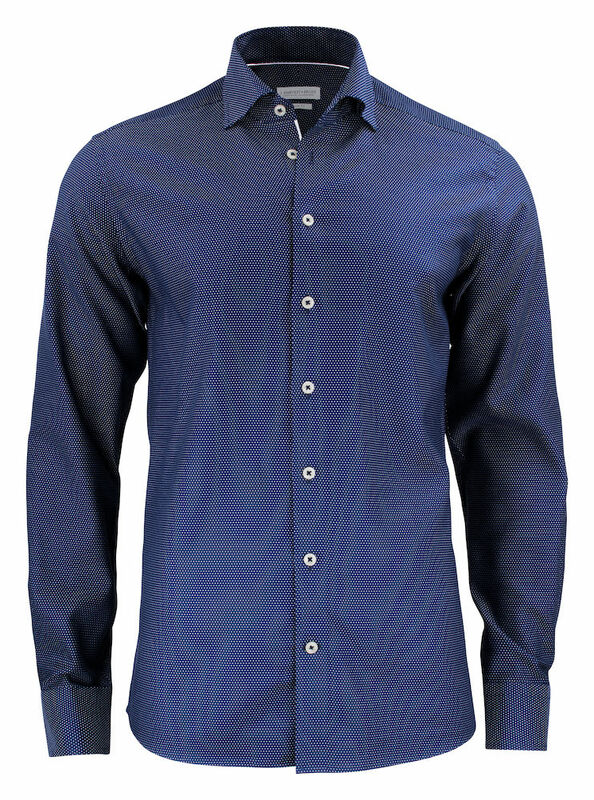 The shirt can perfectly match with all colors and patterns, and is an excellent choice if you should add some colors to your standard white & blue wardrobe. 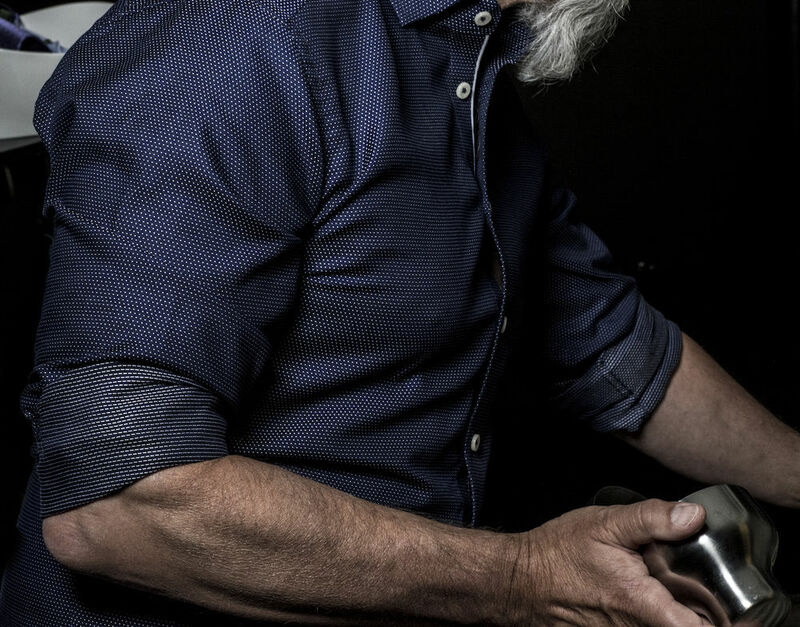 The shirt is crafted in our favorite fine-twill fabric, for perfect performance. We added modern contrast details together with standard features like semi cut away collar, flat front, angle cuff and a split yoke in the back. 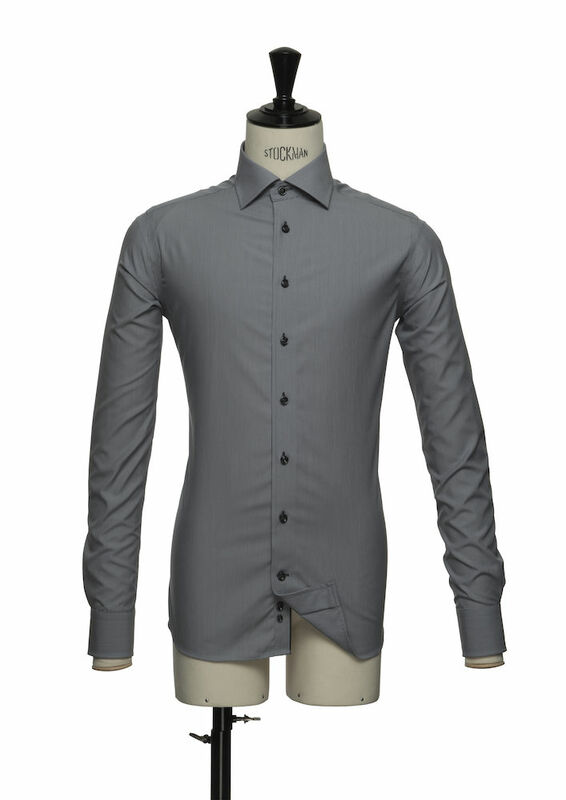 The shirt is well-designed to take you from the office to the dinner party in one day. Verkrijgbaar in grijs, blauw en bleu, zowel voor dames als heren. Maten Regular en Slim Fit. Prachtige exclusieve overhemden van super kwaliteit, verkrijgbaar in Regular, Slim-Fit en Woman, kunnen ook prima geborduurd worden met uw logo (tône sur tône = erg mooi). A double 100’s jacquard fabric, woven with white dots on navy background for a modern and sophisticated look. 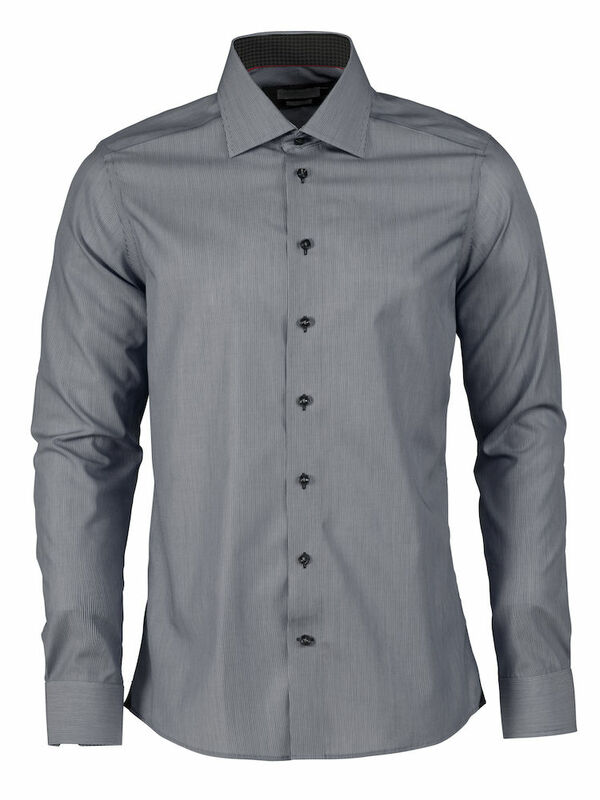 Combine it with the full suit or together with jeans, either way it will serve you good. 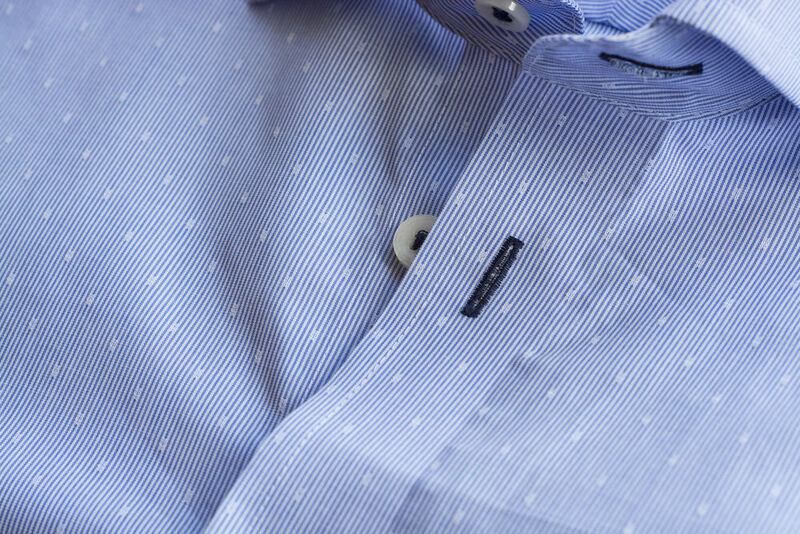 Our newly developed fabric is made with a mechanical stretch for better comfort. 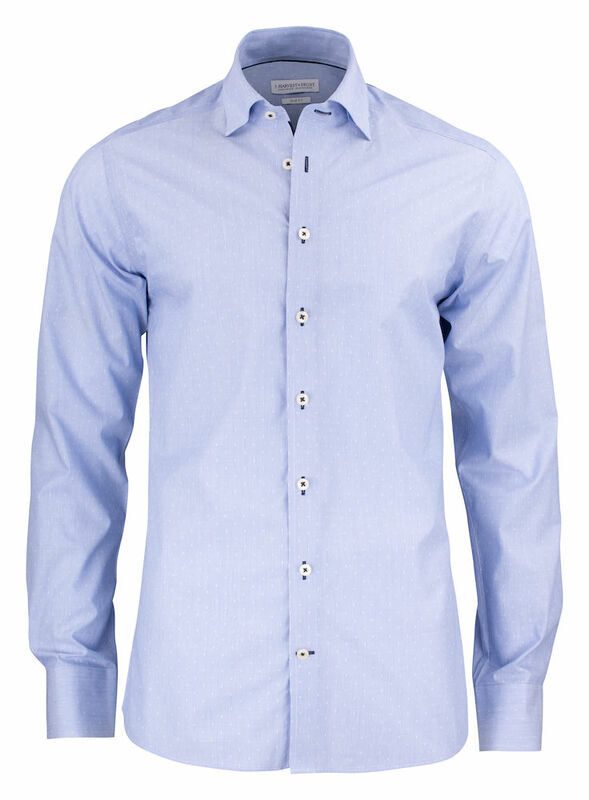 The mechanical stretch is a new innovative way of giving comfort to a 100% natural long stapled, compact cotton fabric. It will give natural elasticity to the shirt of up to 12% stretch the weft way, and still keep our great NON-IRON performance. This is innovative shirt-making at its best, and we enjoy taking part of it. 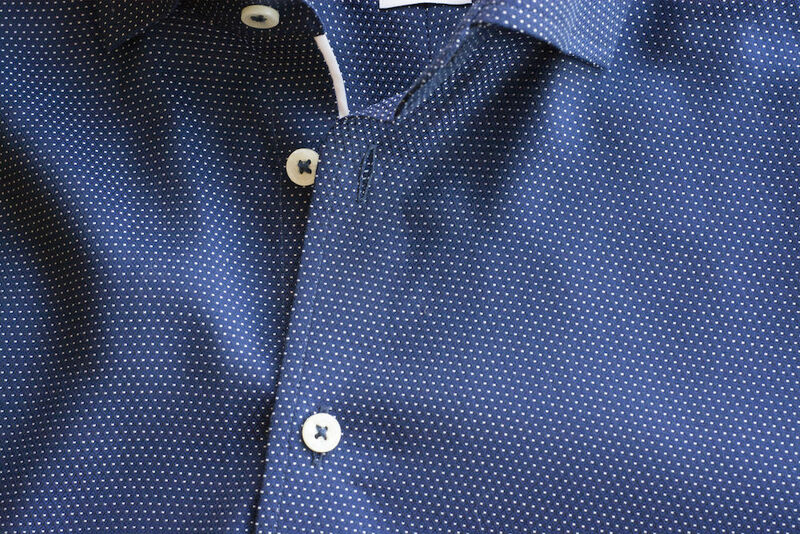 Prachtige overhemden van super kwaliteit, verkrijgbaar in Regular, Slim-Fit en Woman A double 100’s jacquard fabric, woven with white dots on navy background for a modern and sophisticated look. Combine it with the full suit or together with jeans, either way it will serve you good. 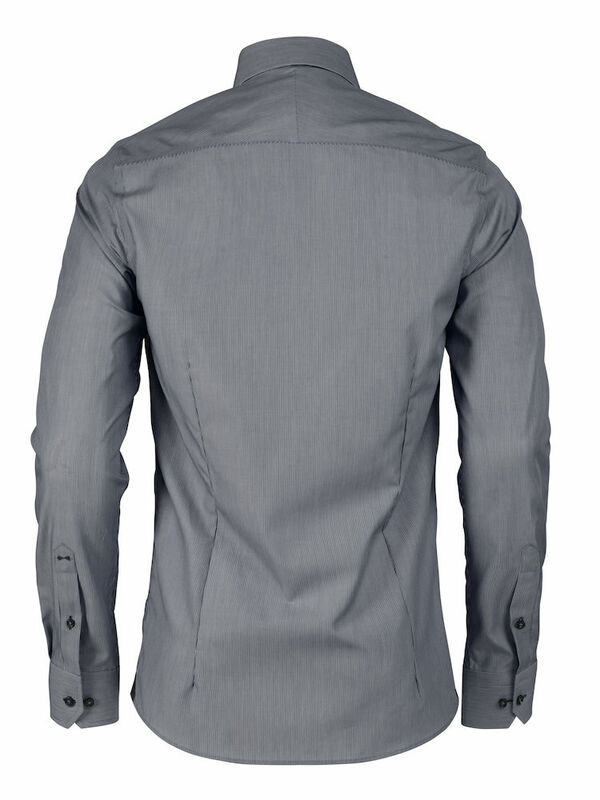 Our newly developed fabric is made with a mechanical stretch for better comfort. 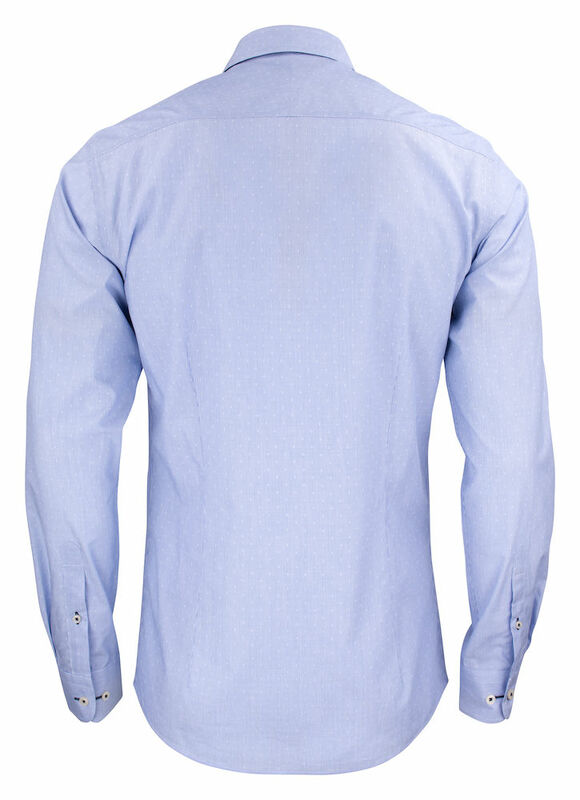 The mechanical stretch is a new innovative way of giving comfort to a 100% natural long stapled, compact cotton fabric. It will give natural elasticity to the shirt of up to 12% stretch the weft way, and still keep our great NON-IRON performance. 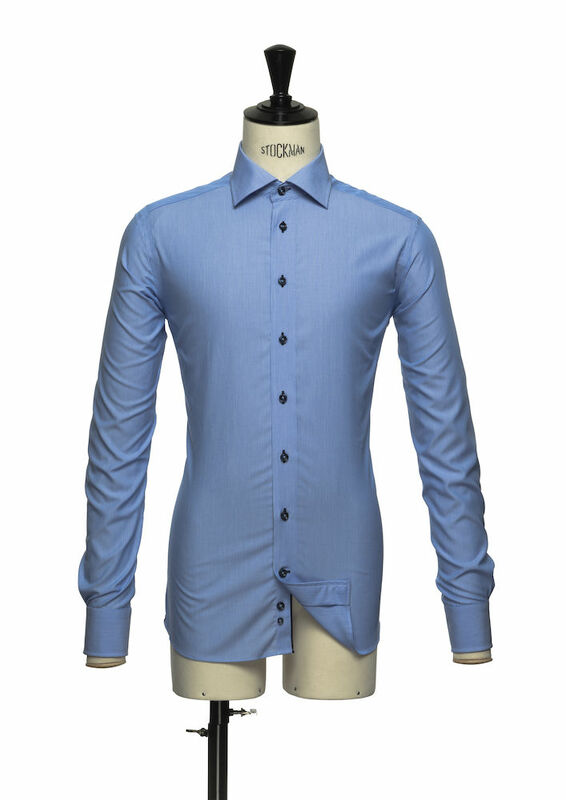 This is innovative shirt-making at its best, and we enjoy taking part of it.